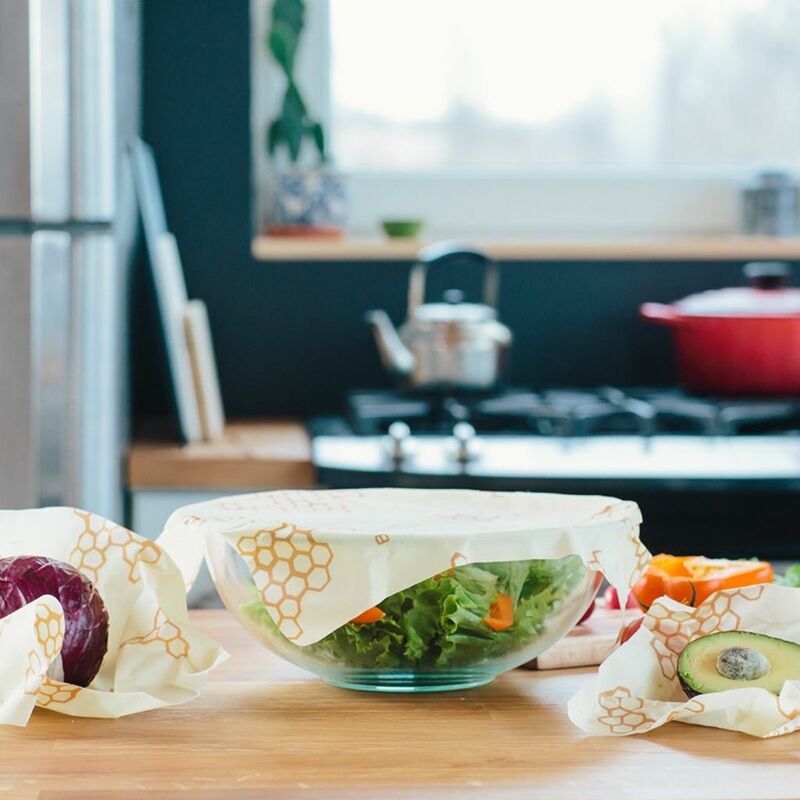 Bee’s Wrap is a friendly, natural, and sustainable alternative to using plastic wraps! Try this organic, reusable, compostable, and certified sustainable wrap and keep plastics out of the trash! The Bee's Wrap® reusable food wrap assortment come with three different sizes of wraps that will let you save anything from bread, cheese, vegetables, or a large bowl! Simply rely on the warmth of your hands to soften the wrap and once it cools it will hold its shape. 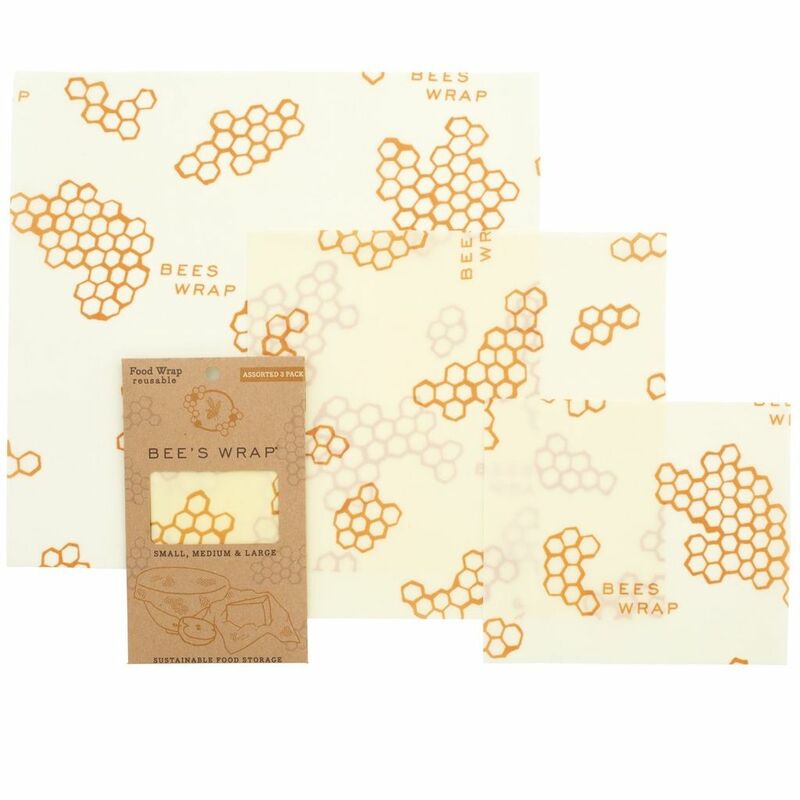 Bee's Wraps® are 100% reusable and made of beeswax, organic cotton, organic jojoba oil, and tree resin. All you have to do is wash them in COOL water with a mild soap and allow them to air dry. 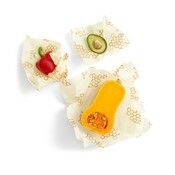 1x Small Wrap - 7" x 8" (17.5cm x 20cm) great for lemons, avocados, or other small items! 1x Large Wrap - 13" x 14" (33cm x 35cm) easily wrap part of a melon, greens, baked goods, or a large bowl.